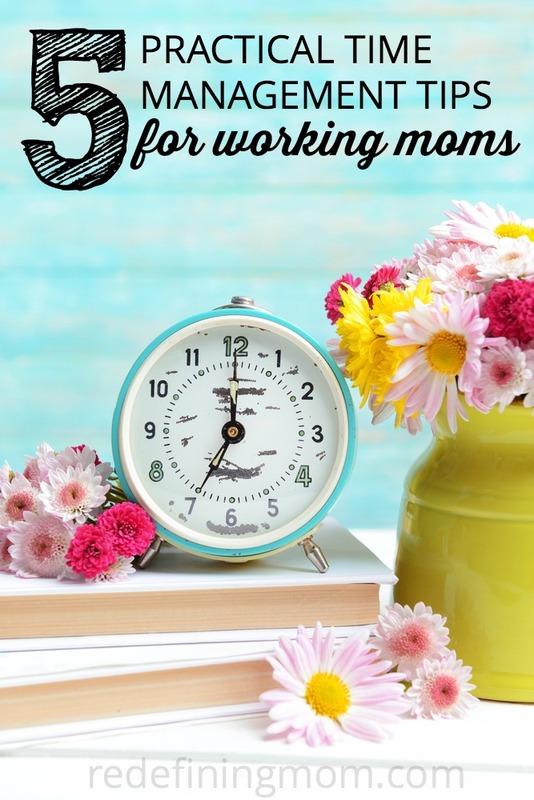 It is three years into my journey as a working mom and I’ve received a lot of advice from coworkers, friends, and other moms. 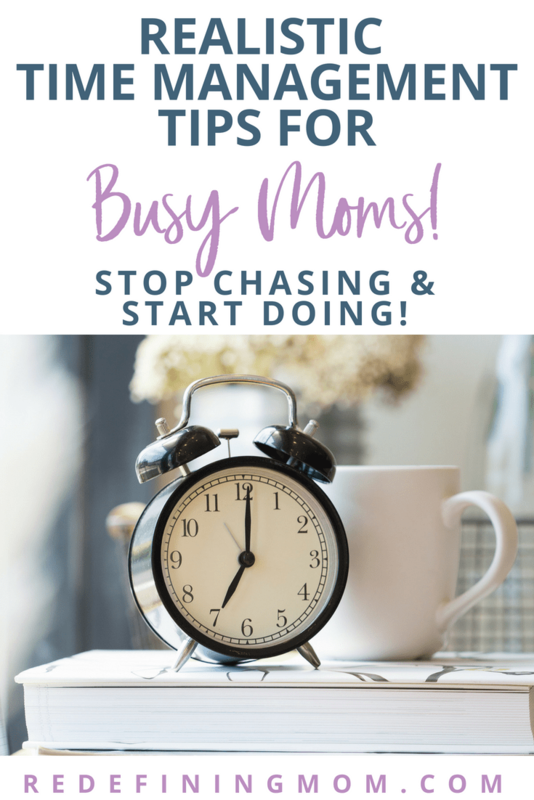 All of that advice can be overwhelming so I decided to narrow down the most practical time management tips working moms can take that have made my life just a little bit easier. *Some of the links below are affiliate links. A basic paper to-do list that I can keep with me throughout the day and jot notes down as I think of action items. Google calendar for daily plans and sharing activities with my husband. An amazing (and free!) course to take to learn more on how to effectively use Google Calendar is Crystal Paine’s Make Over Your Calendar. Evernote for just about everything I need to know in life including important scanned documents, work/meeting notes, ongoing list of home improvements, and much more. An amazing guide to get started in unlocking the power of this app is Evernote Essentials. My system changes from time to time. I find that I get bored of using the same method of organization and changing it up occasionally makes it fun. I’ve been keeping a daily checklist or to-do list in Trello. 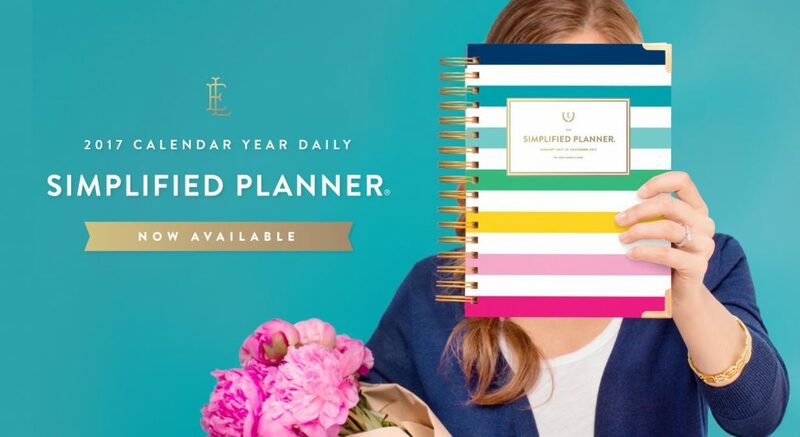 I’m also playing around with an awesome new find: Emily Ley’s Simplified Planner! Speaking of organization, I recently put together the system I use to manage our family finances in Google. It’s called the Easy Budget and Financial Planning Spreadsheet for Busy Families and it’s basically what I live and breathe by with making financial decisions quickly and easily for our family. I use it to make monthly bill paying and projecting out our financial cash flow super easy! Come up with a nighttime and morning routine and stick with it! Routines take practice and you have to keep at it for weeks for it to stick, but the results are undeniable. My nighttime routine includes making and packing lunches, organizing my work bag and Lydia’s backpack and never ever leaving a dirty dish in the sink. In the morning, I always wake up first and shower before anyone else is up. Simple tasks that are planned and consistent turn into mindless activities that can save a lot of time. 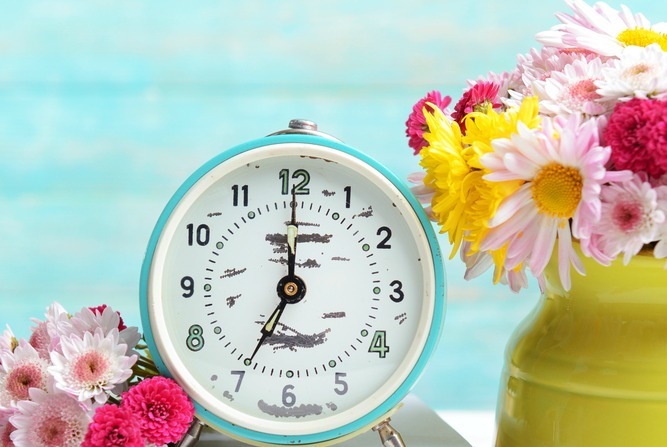 The best resources I’ve found to help create routines that work in the morning and evening are Crystal Paine’s (from Money Saving Mom) Make Over Your Mornings and Make Over Your Evenings. 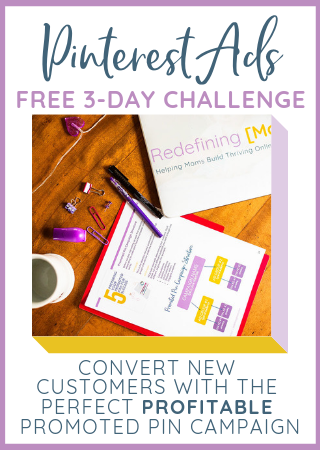 They’ve been completely life-changing and I highly recommend checking them out! 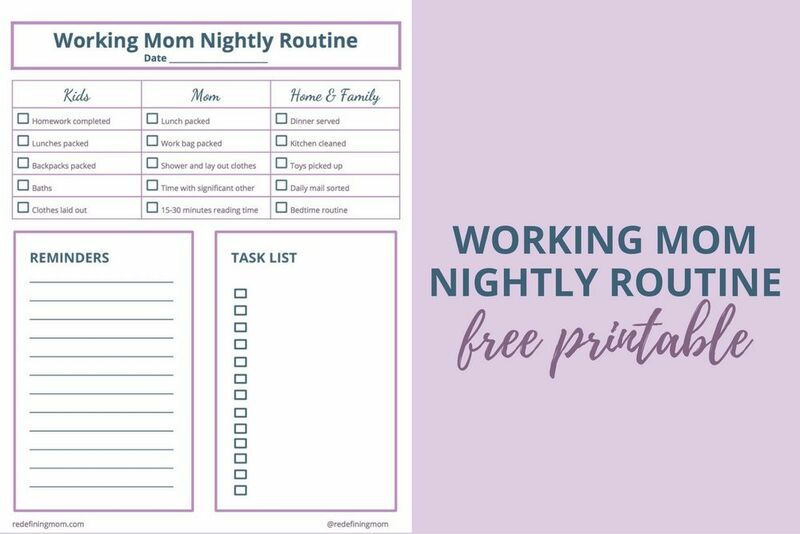 You can also download the worksheet I use every night for my nightly routine. The ONE Thing: The Surprisingly Simple Truth Behind Extraordinary Results by Jay Papasan is a great book that explains how extraordinary results come from focusing on one thing. This book changed my mindset in determining what is important and what I can let go of. A definite must read! Bonus Tip: set aside 30 minutes in your nighttime routine for silent reading time, it’s an excellent way to shut down your mind from the busy day. Another great read is The Life-Changing Magic of Tidying Up: The Japanese Art of Decluttering and Organizing by Marie Kondo. This book has changed the way many people keep their lives organized by showing you how to organize your home room by room. Bonus Tip 2: Eat That Frog! : 21 Great Ways to Stop Procrastinating and Get More Done in Less Time by Brian Tracy is another great book for learning important time management skills. It is wildly popular. This is exactly what it sounds like. 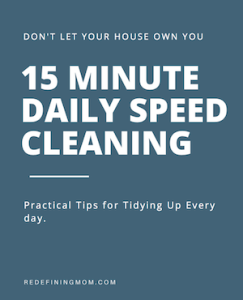 Take 15 minutes a day to rapidly clean the house by picking up anything and everything that is out of place and putting it away, wipe down dirty surfaces, sweep, fold clothes/blankets, etc. Do as much as you possibly can in those 15 minutes. You’d be surprised how much this helps. BONUS: download my practical tips on how to get started with daily 15-minute cleaning sessions! Possibly the most important tip I can give you is: learn to say no! Do not sacrifice your well-being or the happiness of your family to meet someone else’s agenda. I know this is easy in theory and hard in practice, but trust me when I say that practice makes perfect is especially true in this case. This is a huge sanity saver! 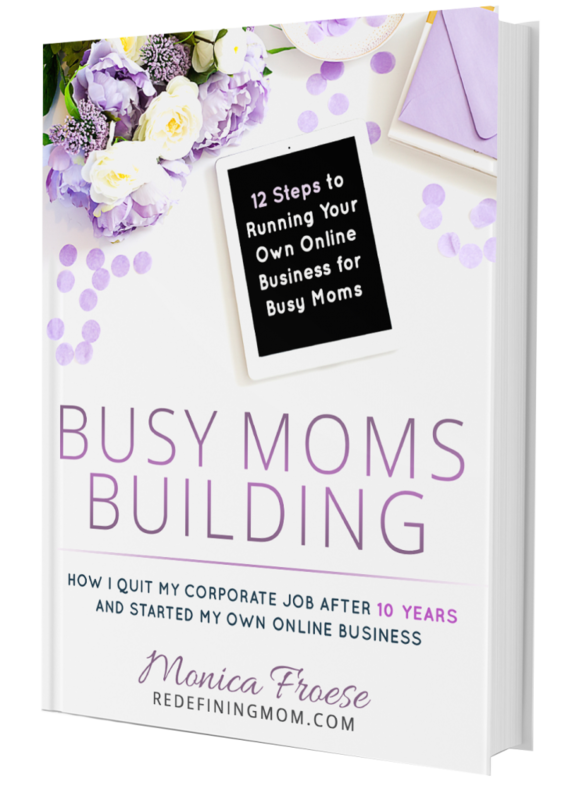 BONUS TIP: I talk about saying no a lot in my new eBook, Busy Moms Building: 12 Steps to Running Your Own Online Business for Busy Moms. 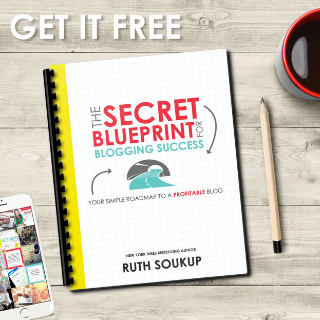 In the book, I teach busy moms how to balance work and family while building their own online businesses. A huge part of being able to accomplish big dreams and keep your sanity is by saying YES to the right things and NO to the wrong things. Great tips. I utilize all of these suggestions, but I’ll need to check out this book you reference. Sounds like it is worth a read. Thanks for sharing! I’m still trying to make my way through the entire thing but so far it has made a huge impact one me! Good tips. I need to work on being more consistent with routines. Thanks Adrian, it is definitely hard to create new habits! I can always use tips for how to juggle everything in my life. Love the 15 minute speed cleaning idea. I can’t seem to get a handle on setting up a schedule or routine for cleaning. I can do 15 minutes. Thanks for the tips. Very good blog post! I have learned, after 14 years and 3 children, a few tricks that seem to work for me. However I do struggle sometimes balancing work and family. You’re definitely right about morning routines being helpful. I’m surprised how many people just seem to wing it! Awesome tips! I’m trying to get my kids to speed clean at the end of the day. It’s a fun way to get them to clean up. I’ll have to read The ONE Thing. I loved Eat That Frog and The Life-Changing Magic of Tidying Up. These are all very helpful tips for working moms. I use most all of them. I especially love my planner (paper) to keep track of all the things I am doing and need to complete. Routines are a life saver. All the little prep steps the night before and in the morning make every day easier. Thanks for sharing at Mom-to-Mom Mondays. Thanks for this article! I feel like the Internet is FULL of tips for stay-at-home moms. I start to feel left out. 😉 These are great ideas. Thanks for stopping by Laura! I’m glad you found the ideas helpful! I did the speed cleaning session yesterday for our kitchen! I had my Google Home set a timer for 15 minutes and my kids and I started cleaning. It’s amazing how much we got done! Tackling the family room today!